I’m pleased to share ATP’s annual report with you. As you’ll see in these pages, we’re continuing to fulfill our mission of using trees to help Armenians improve their standard of living. Last year, our four nurseries produced over 250,000 trees which we planted in sites all over Armenia and Artsakh. The total number of trees we’ve planted since 1994 exceeds 5.7 million, and we’re on track to reach six million this year. ATP’s work is about so much more than planting trees. 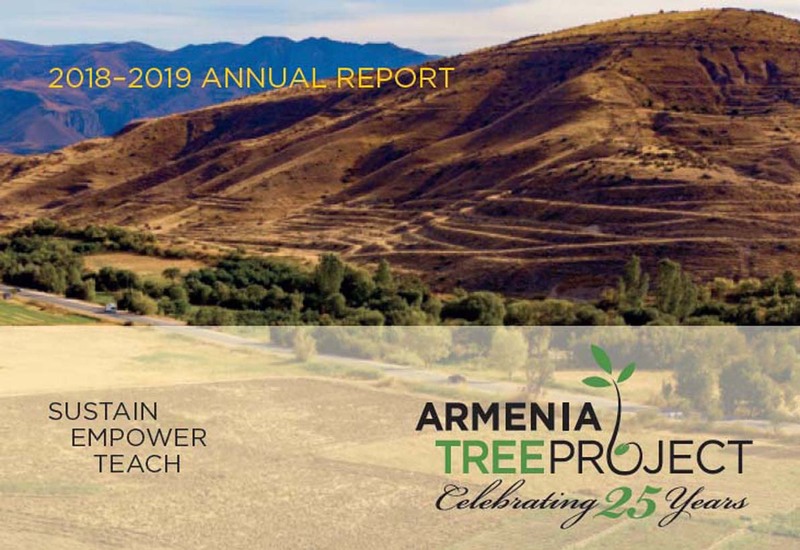 We sustain Armenia’s environment by ensuring a high survival rate of the trees we plant while enriching the soil, water, air quality and harvests. We empower Armenians by providing economic independence through employment opportunities and enterprise opportunities. We teach students all over Armenia and the Diaspora to build awareness about healthy trees and preservation and the role of individual and community in the environment. As always, we invite you to include ATP in your itinerary when you visit Armenia. We love to show our work, and you can even plant a tree with us! If your schedule brings you to Yerevan in October, be sure to come to the conference we’re planning with the American University’s Acopian Center for the Environment. Forest Summit: Global Action and Armenia will bring together experts to discuss Armenia’s environmental challenges and opportunities. The conference will include field visits to both state forests and ATP’s nurseries. 2019 marks ATP’s 25th anniversary, and soon we’ll kick off a yearlong celebration. ATP’s success is the result of dedicated and generous support from people like you. Events are being planned in Boston, New York, California, Philadelphia and Armenia. We look forward to celebrating with you!